Three hundred hectares of sand dunes, marsh, dry grassland, saltmarsh and heath, between Ardara and Portnoo. Recently featured on BBC 1’s Wild Ireland. The talk and walk will begin from the McGlincheys Field Studies Centre off the L7743. 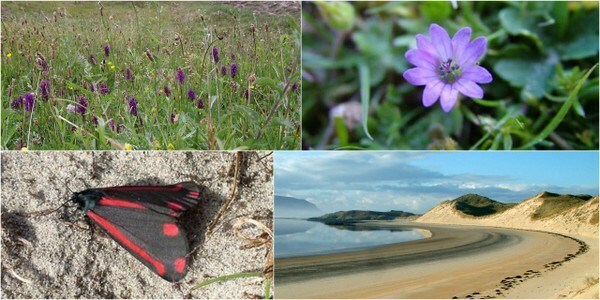 Stuart Dunlop has been recording wildlife, particularly plants and invertebrates on his Donegal Blog spot since 2003. He regularly takes part in BioBlitz and is an expert on the Heritage in Schools panel. Stuarts in-depth knowledge of invertebrates and his detailed photography will be a treat for all wildlife enthusiasts.